There are only 5 solids for which each face is a congruent polygon, and all of the vertices are identical. 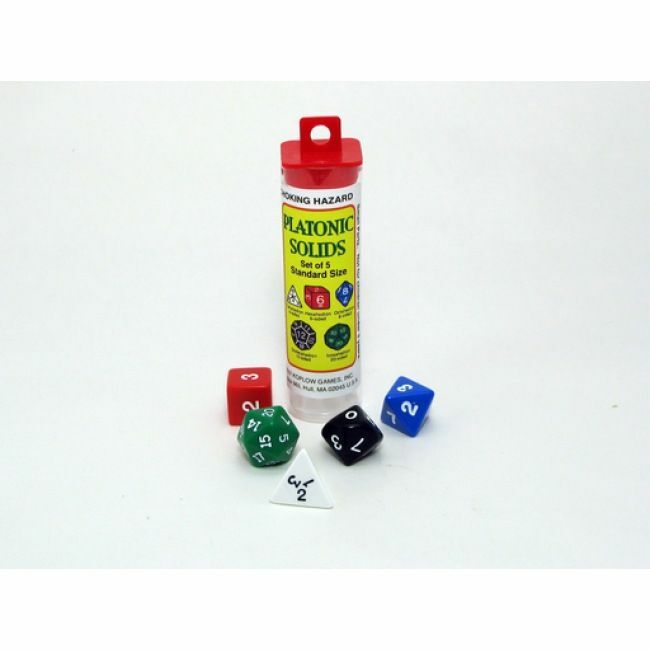 They are called the Platonic solids, and all five are included in this dice set. 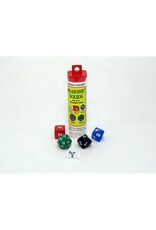 These dice are a great way to teach about the Platonic solids, and can also be used for some fun dice games.